Stories shared during celebrity guest interviews, or industry elites that emphasizing iconic moments in history that helped shape California’s soul. “You’re not in Cali if you’re not on California Soul”. 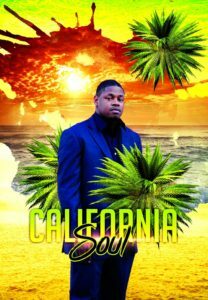 On the premiere episode of California Soul, we take you to the 90’s drugs, South Central, CIA, and the changing of music. Make sure to follow California Soul for more updates and episodes! Iconic actress Desreta Jackson of The Film The Color Purple. Desreta talks life before, during and after The Color Purple. Iconic Actress & CEO Desreta Jackson talks life before, during and after her starring role as Young Celie of The Color Purple and how she survived a violent attack as a child after the film released. Iconic Actress & CEO Desreta Jackson talks life before, during and after her starring role as Young Celie of The Color Purple and her new book The Black Hair Conspiracy. Desreta also gives us a freestyle rap on the “What If” wrap up you don’t want to miss.